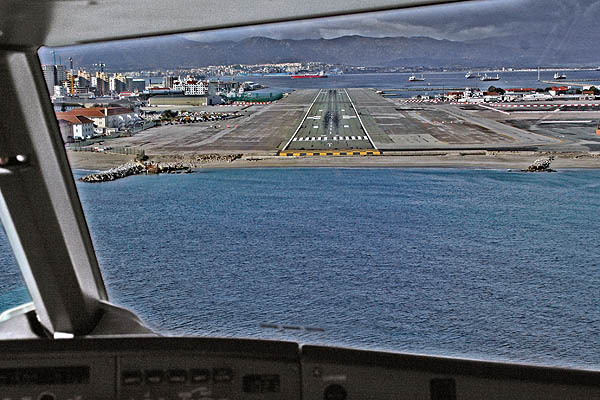 For many years Spain restricted movements at Gibraltar Airport as part of a range of measures to damage the economy and isolate the Gibraltarians. Despite there being an increasing demand for flights to Madrid, it was not possible for Iberia or any other airline to offer these. 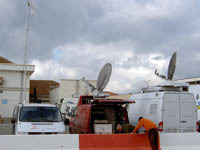 However as a result of the Cordoba Agreement (2006), these annoyances were to be removed in December 2006. In preparation for the introduction of a daily scheduled service, Iberia practiced landings at the airport on the 26th November. 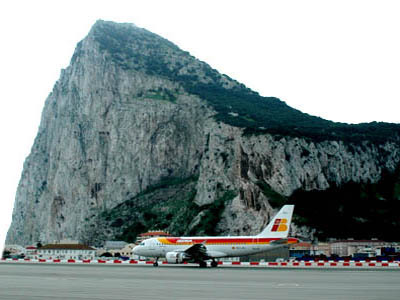 At 13.00 hours Gibraltar time, Ricardo G�nova, Operations Director of the Spanish airline Iberia made a model landing on one of the world's most awkward airports - the Rock of Gibraltar. 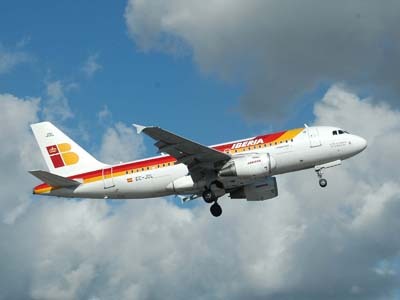 This was the first ever Spanish airline to land at Gibraltar and the first aircraft from Madrid to do so in 27 years. The event marked the most tangible signal that after decades of tension affecting Spain, Britain and Gibraltar are finally overcoming a thorny sovereignty dispute by focussing on co-operation and respect. Regretably it was not to last, and lack to demand due to the timing of flights and their high cost lead to the service being discontinued at the end of 2008. The next Spanish airline to operate a service from Gibraltar was Air Andalus a regional airline based in M�laga, Spain. It aimed to attract tourist traffic to Andalusia and open up new destinations for the community. However they quickly withdrew the 50 seater and replaced it with a smaller aircraft. In April 2010 the company ran into financial difficulties, with reported debts of over �7m and ceased operation.